We reported in April 2018 that DAG Rod Rosenstein was required by law to ensure Mueller had no conflicts of interest to be Special Counsel – yet there is no way Mueller could have passed a reasonable level of scrutiny! But then Mueller created an entire team with similar and worse conflicts of interest. 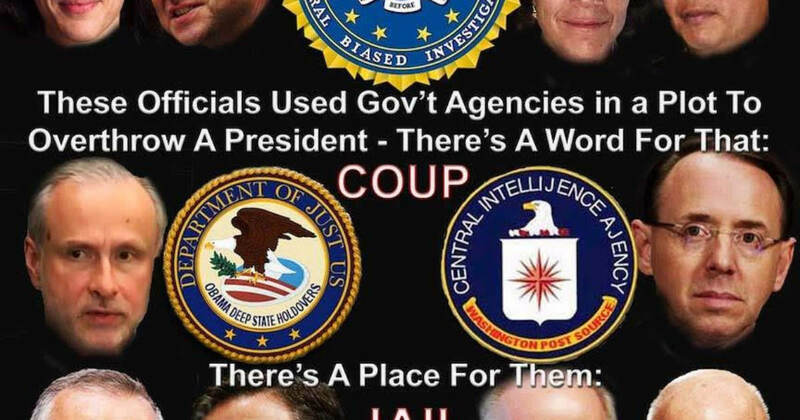 These conflicts prove that the Mueller investigation was a coup attempt from the start! The Special Counsel law requires that the Attorney General or Assistant Attorney General ensure that the appointed Special Counsel has no conflicts of interest. There is no way that Rod Rosenstein could have determined that Robert Mueller had no conflicts of interest and was eligible to lead this special counsel. A special investigation must be held to request the data related to this assessment and address obvious flaws in approving Mueller! There is no way that Rosenstein could have performed even a cursory conflict of interest review and determined that Robert Mueller had no conflicts of interest.